Nourish yourself, clear your mind, and make self-care a priority...all with the support of a nurturing community! You are invited to join Ayurvedic Chef + Lifestyle Coach Meredith Klein this spring for a week-long food-based cleansing experience! If you are ready to shine your brightest and live in your fullest potential, the Pranaful Cleanse will help boost your prana (vital life force energy) and bring your body closer to a state of optimal health to assist you in fulfilling your deepest intentions! The cleanse is a fantastic way to reconnect to personal intentions for 2019, as well as an opportunity to recommit to self-care routines that may have slipped amidst life's many demands. The Pranaful Cleanse was designed by Meredith as a hybrid juice fast and Ayurvedic cleanse, to provide an experience that is both effective in facilitating detoxification, while also nourishing for body, mind and spirit. The cleanse is perfect whether you are an experienced cleanser or if this is your first cleansing experience, and is particularly effective for individuals who have struggled with liquids-only fasts. Perhaps what people love most about the Pranaful Cleanse is the deep space it creates for personal reflection/introspection, and the opportunity to be supported by a loving, vibrant online community. Come experience it for yourself! During the cleanse, you have the opportunity to lovingly prepare all of your meals, one of the greatest gifts you can give to yourself. Each morning, you will enjoy a delicious green juice, packed with ingredients to detoxify the body from the inside out. (There will also be options offered for those who do not wish to juice, or prefer a warm breakfast option.) Lunch and dinner consists of kitchari (spiced mung beans and rice – a complete protein meal) and a selection of Ayurvedic condiments to warm your belly and provide the sustenance you need for your active lifestyle. 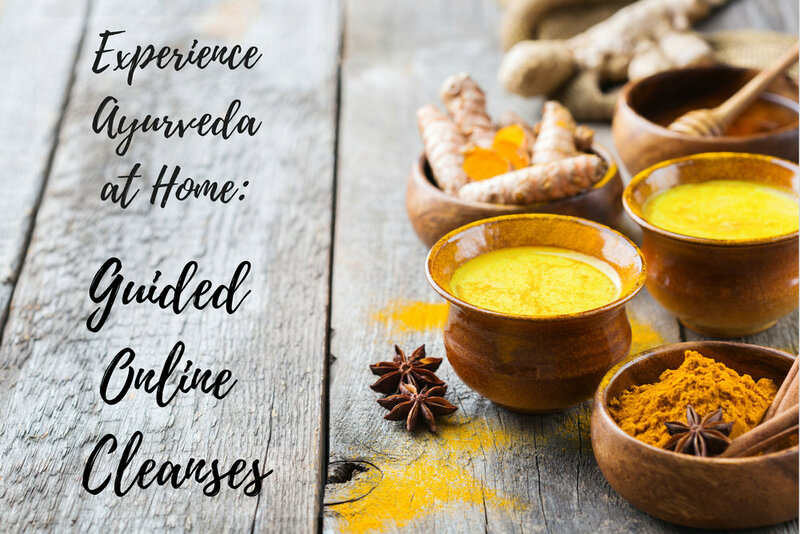 Optional supplements, teas and cleansing routines inspired by ancient Ayurvedic wisdom can also be integrated into the program, based on your individual needs. Unlike other cleanses that can deplete your energy and leave you feeling lethargic, the Pranaful Cleanse is specifically designed to help conserve and maintain your energy throughout the duration of the program, so that you can carry on with your normal routines with ease. Moreover, Meredith will offer expert guidance to allow you to tailor the cleanse to support your individual work, family and lifestyle demands. The online cleanse experience includes three live calls (also available as mp3 downloads) during and after the week-long process to guide your journey, and to provide an opportunity for you to ask Meredith questions and share experiences with your co-cleansers. We also stay connected via a lively online forum where cleansers build community and support one another throughout the week. All times are Pacific time zone. All live calls are recorded for playback at your convenience. March 15 – live introductory call (75 minutes) – 6 p.m.
March 20 – mid-cleanse live call (50 minutes) – 6 p.m.
March 24 – closing call (30 minutes) – 5 p.m. Registered participants receive access to all materials needed to complete the cleanse, and can participate during any one-week timeframe if they cannot join us during the live cleanse week. Personal aspiration to shine radiantly this spring! Meredith Klein is a Los Angeles-based chef, lifestyle coach and mindfulness teacher who is passionate about helping individuals to experience radical transformation through the practices of meditation and healthy, mindful eating. She has led the Pranaful Cleanse each fall and spring for the past five years. A student of Zen Master Thich Nhat Hanh, Meredith also teaches meditation at retreats and workshops, in addition to offering one-on-one coaching. Click here to learn more about Meredith’s work. Special Guest! We are delighted to have Dr. Siva Mohan, of FoodSexSleep joining us on the live calls and providing support in the online cleanse forum! Dr. Mohan will provide expert advice on ways to employ Ayurvedic wisdom for staying balanced during the spring. 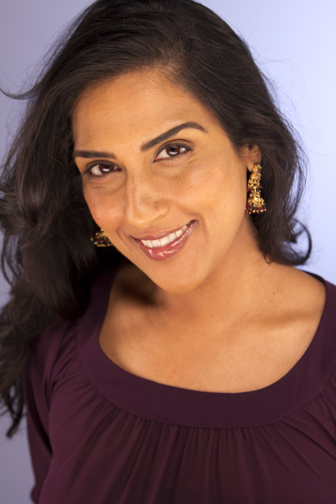 She makes Ayurveda accessible and fun for participants in the cleanse. "I'm a working mom with two kids and didn't think I could do a cleanse with all I have going on. Meredith's cleanse is easy and approachable, and left me feeling so renewed. My family even loved the kitchari and we eat it all the time now!" "This has been a great process and I have a huge amount of gratitude to you for giving me...and so many other people...your time, energy, knowledge, support and hard work. I never in a MILLION years thought I would do a cleanse and am surprised at how awesome this week has been." "Thank you for this great opportunity to cleanse and see what a healthy lifestyle looks like...I am looking forward to creating a brand new story moving forward." "I did this cleanse to help my body physically, but what I came away with more than anything else was a deeper understanding of who I am, and what some of the blockages are that I need to work through to take my life in the direction of my dreams. Thank you Meredith for creating and holding this amazing space for us!" "The was the best decision I made all year! I feel AMAZING!" "Sign me up for every cleanse you ever offer! Truly. I can't recommend this experience more highly!" To arrange either of the above options, email Meredith here. Want Your Own Personalized Cleanse Experience? I offer individual guided cleanses as well. These can be arranged to your schedule and include customized recommendations and recipes. To learn more, click here. The Pranaful Cleanse is gentle and effective for individuals in generally good states of health. If you are currently undergoing treatment for any medical condition, please consult your doctor to determine if a cleanse is appropriate for you at this time. By registering for the cleanse, you assume any and all risks and understand you are responsible for consulting with a physician on any health-related questions you have.